AFL club Port Adelaide has elected former club captain Gavin Wanganeen to its board. Port Adelaide and Gavin Wanganeen have carved out a slice of history, with the Brownlow medallist becoming the first Aboriginal player to join an AFL club's board. Wanganeen won a majority of the nearly 4,000 votes cast in a members election from a pool of four candidates and fills a position held since 2012 by seven-time Port SANFL premiership player George Fiacchi. "Port Adelaide is where it all began for me so it means a lot to be able to represent the members and drive the club forward," Wanganeen said of his election. "The club is in a great position at the moment because of the current directors so it is a huge honour to be elected to work alongside them and I can't wait to get started." Wanganeen played 173 of his 300 AFL games at the Power, including the 2004 premiership, after winning the 1993 Brownlow Medal in Essendon's premiership season. The 45-year-old has long been an avid supporter of Port's indigenous programs. "Gavin was an outstanding footballer and more importantly is an outstanding person," chairman David Koch said. "He has an incredible record, from being the first Aboriginal winner of the Brownlow Medal and the first indigenous player to play 300 AFL games, to being Port Adelaide's inaugural captain in the AFL and a vital part of the 2004 premiership side. 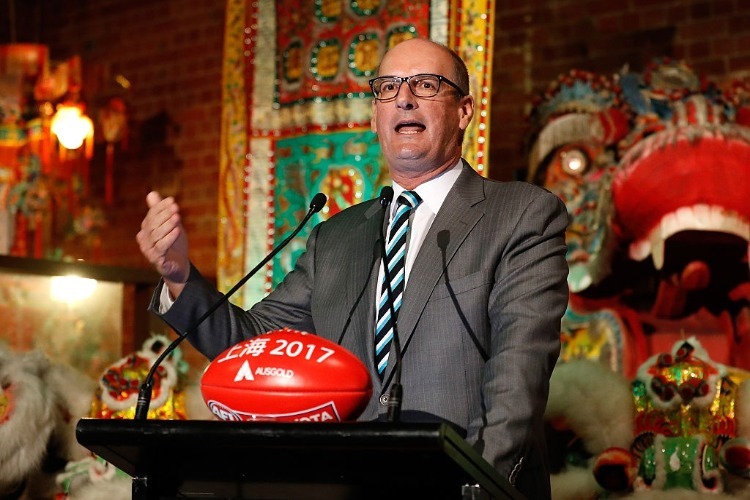 "Gavin brings a strong understanding of the Port Adelaide Football Club given he first came through the doors at Alberton in the under-13s. "With his external networks and business acumen along with his passion for the club, we look forward to his contribution to the board table."